Scandal dominated this week’s news after Sunrise Lee, a stripper turned Insys sales rep was alleged to have given a disreputable doctor a lap dance in an effort to persuade him to prescribe the potent opioid fentanyl to his patients. Meanwhile Vertex terminated COO Ian Smith over ‘personal behaviour’ while an Israeli biotech made the dubious claim that it had created a complete cure for cancer. In other news, Health Secretary Matt Hancock said that patients would be able to pay the NHS to sequence their genes, as long as they shared their data. The story prompted fears of the creation of a two tiered system in Britain’s beloved NHS. Meanwhile Novartis warned of the impact of no-deal Brexit. 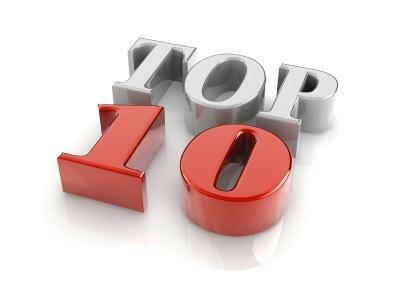 Check out the top ten most popular stories of this week! The NHS will provide paid-for health reports, informing patients as to the likelihood that they will develop diseases such as Alzheimer’s or cancer, as long as those people share their data. Opioid drugmaker Purdue Pharma has entered into an agreement with inflammatory disease specialist Alivio Therapeutics for the development of the non-opioid treatment for interstitial cystitis/bladder pain syndrome, ALV-107. Genetech, the biotech subsidiary of Swiss firm Roche, has named its new CEO, revealing that Alexander Hardy will be returning to the company to lead its operations. Roche has announced that it is to terminate two Phase 3 studies investigating the efficacy of its anti-beta-amyloid molecule crenezumab in the treatment of early sporadic Alzheimer’s disease (AD), after it became apparent that the drug was unlikely to meet its primary endpoint.